Winter is already here, and it’s all about warmth be it in clothes, feelings, festivities or nails. Nails play an important role in the fashionable look of a person. Nail art in winter becomes more aesthetic, pretty and warm. It can involve different hues of blues, darker shades on nails. Some colors that are complementing your sweater or coat. One of the coolest idea is to simply apply matte nail polish on the nails to get an extraordinary simple yet elegant winter look. It is a beautiful way to paint your nails with different cold winter looks to express your love for this cold season. Make a high impression on other, by adding these winter nail art looks with your outfits. Here we are with some striking appealing dazzling winter nail looks, which you might want to try yourself all this winter 2017-18. 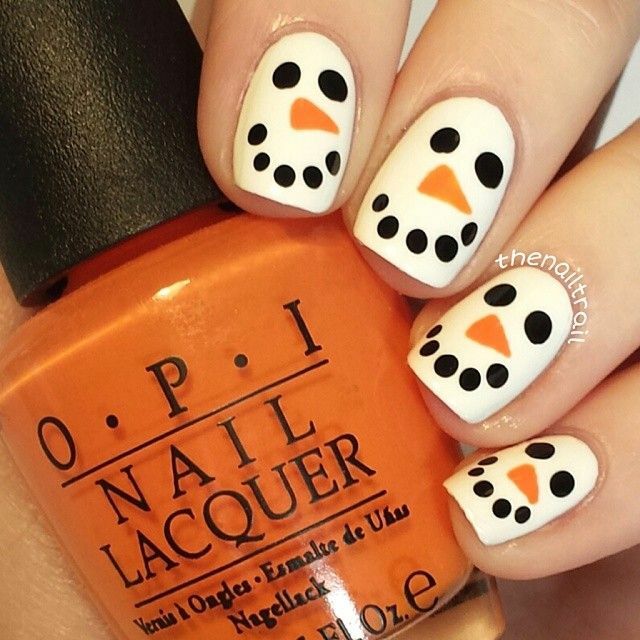 Frozen Inspired Olaf Nails are a great way to greet winter season in a unique way. 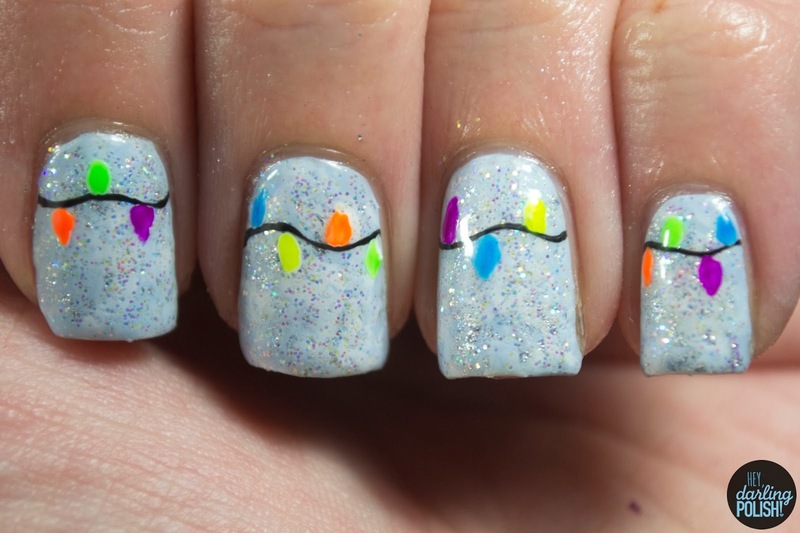 Christmas neon Lights on your nails can be very appealing in the winter holiday season if you are going out for a party or Christmas shopping. Red is the color of every season, but it symbolizes Christmas in its own way, hence it can be paired with snow flakes and polka dots to create this look. Winter is all about patterns, reindeer’s, snow and all, this look is perfect for winter nails. Gradient of greens combined with black mixed with glitter is a complete winter look and easy to create. Glittered manicure in a dark color will complement the winter look for you. A snow man with glittery snow on your finger nails is one of the best winter designs one can create. Take out the warmth of your inner self in these winters by applying a dull-colored nail paint accompanying clothing or your hot coffee mugs. 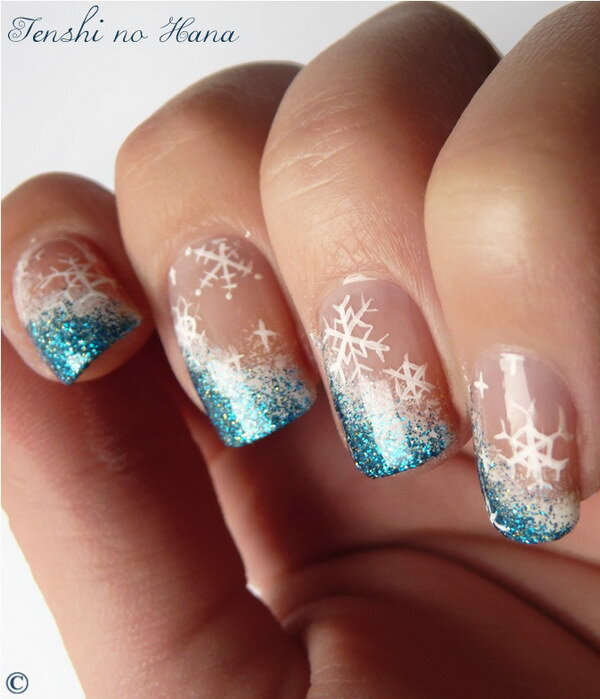 Create a beautiful wintertime scene by applying snowy branches and snow on to your nails. Add some nail gems, glitter and glam to a warm toned nail paint and create this look. Add snowflakes to elegant French manicure to achieve this look. 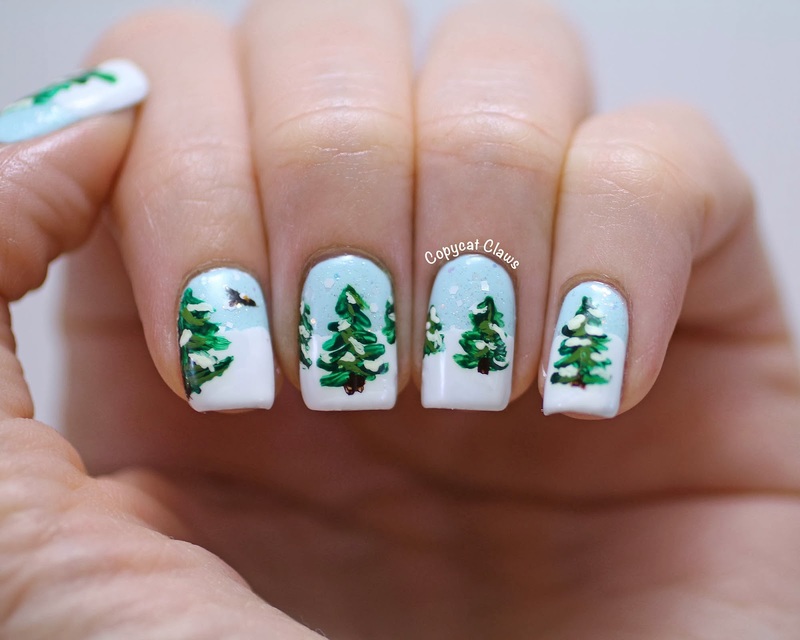 Christmas trees can be a master piece in winter nail designs and can depict holiday season beautifully. 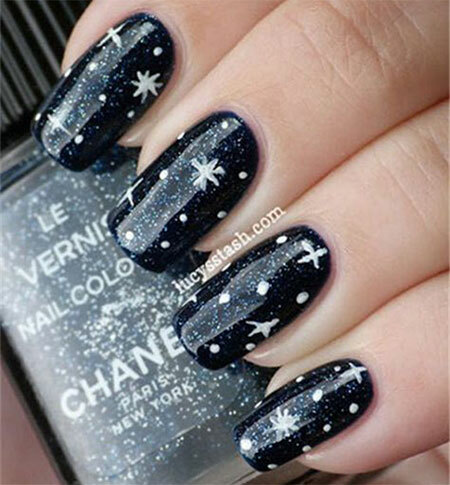 Elegant Black nails with snowflakes and snow effects ideal for winter nail art design. 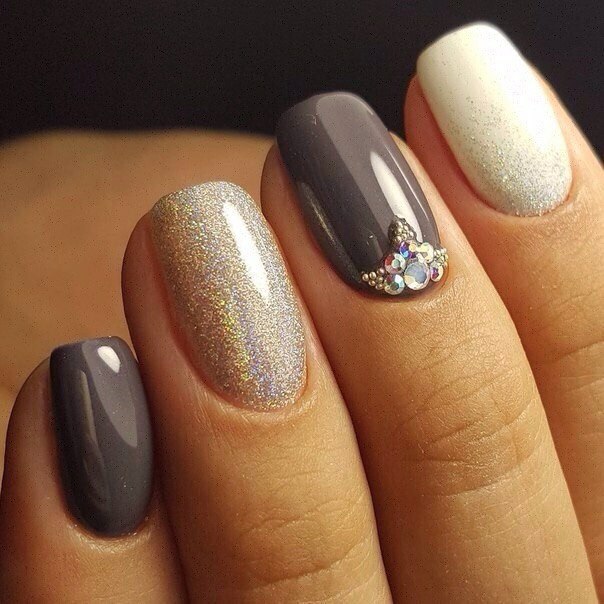 Different shades of Gray color can be used to create a Warm looking winter design for nails. 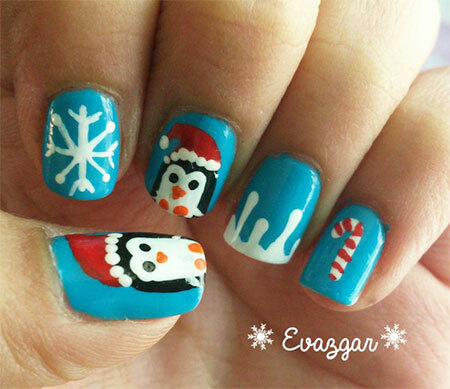 Snowman’s Smiley face on your nail will surely make you shiver to wintery cold. 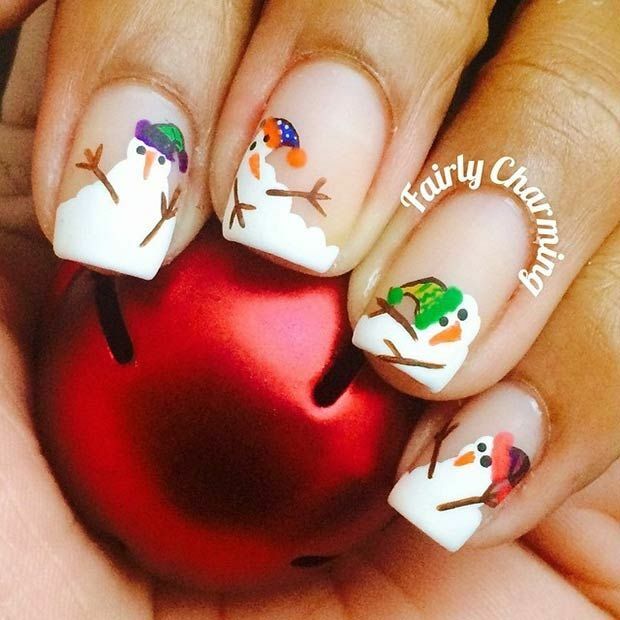 Different snow men on each nail will look more creative and thoughtful for winters. 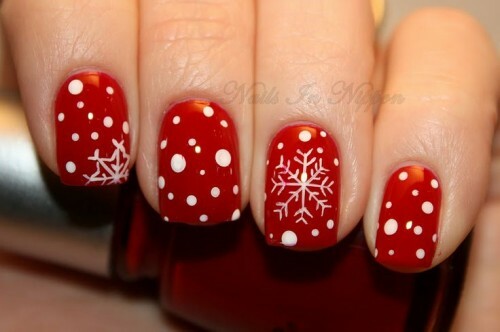 Some classy wintry patterns of holiday season will do the job for some creative looks of nail art. Play around with glitters, colors and some shapes. Darker shade of blue with some white snowflakes is an awesome way to show gratitude for winters. Christmas penguin and Candy Stick is a deadly combination to enjoy winters and holiday season. Black is the boldest color that can never go wrong in Winter, this manicure and snow black design is perfect to wear this winter. 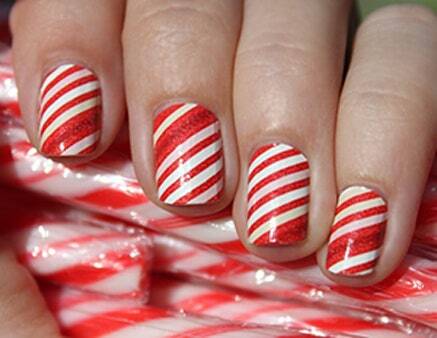 Candy nails is another way to welcome Santa this winter, easy to do yet yummy looking winter nail design. 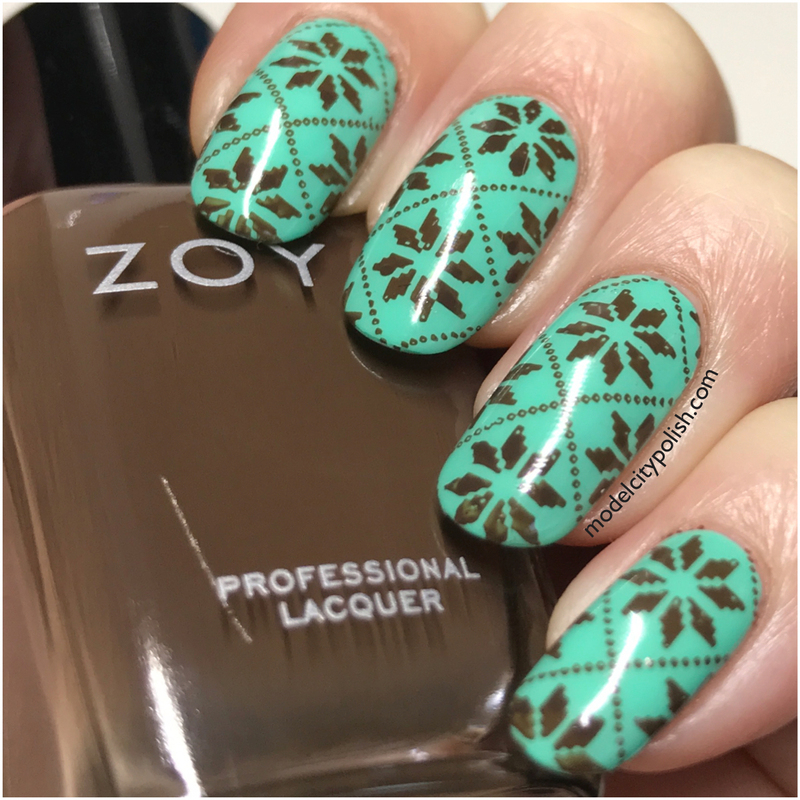 Sweater printed nail stamps can be a soothing winter design. Wear a sweater on your nails too. 3-D sweater nail art is the new way to say hello to winters. 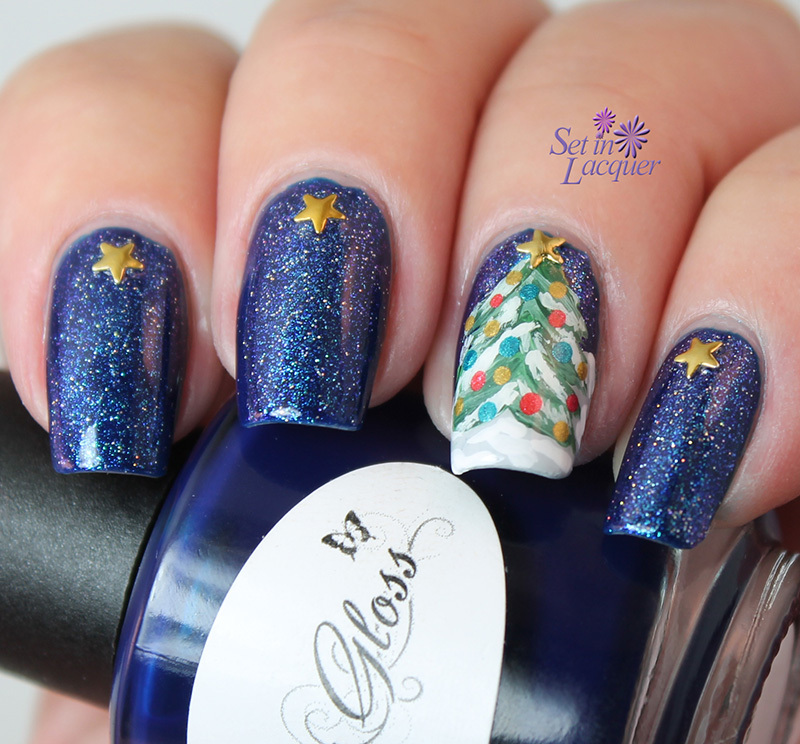 Blue, Christmas trees and stars can be a trendy winter design to be followed. Icicles can give a chilly feel to winter nails. A French manicure nail art paired with some snowy frozen look can do the job. Winter Nights can be created on nails. You can always wear a matching bold, darker shade with your coat, sweater in these winters.